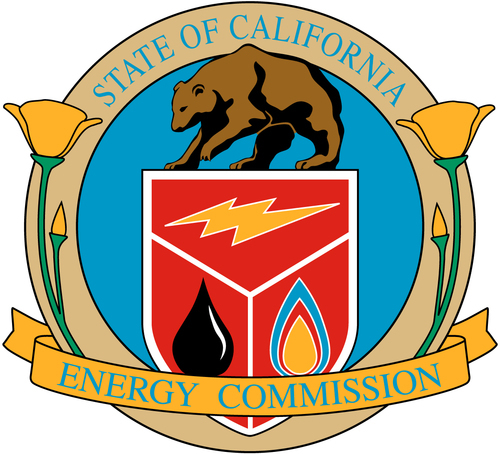 The California Energy Commission is continuing to invest money into clean transportation infrastructure projects, in support of an executive order signed by Gov. Jerry Brown in 2012. The award announced on Wednesday approved $17,223,593 for a wide range of projects aiming to expand alternative fuels and zero-emission vehicles in California. The awards were made through the Commission's Alternative and Renewable Fuel and Vehicle Technology Program (ARFVTP), created by Assembly Bill 118. The awards require matching funds from the recipients, and specific amounts are granted on a reimbursement basis after invoices are submitted rather than as a lump sum. The Alternative and Renewable Fuel and Vehicle Technology Program is seen by California Energy Commission officials as essential in fulfilling the state's pioneering climate-change policies. California has long been at the forefront of pushing for solutions to air pollution and climate change problems arising from incumbent transportation technologies. In part the efforts follow from an Executive Order signed by Gov. Brown in March 2012 requiring a long range effort to expand adoption of zero emissions vehicles in California. But that Executive Order is simply a byproduct of California's long-standing policy efforts in clean transportation. The project announced on Feb 5 in which UPS is deploying 100 electric trucks made by EVI Inc of Stockton is jut one of the projects under the Alternative and Renewable Fuel and Vehicle Technology Program. In all the ARFVTP is slated to disburse $90 million in the current fiscal year, with the $17,223,593 approved on Wednesday being just one slice of the total pie. Eslinger Biodiesel, Inc., will receive $6 million to build a commercial biodiesel production facility in Fresno. The first phase of this $32 million refinery is slated to be operating within a year of funding, producing 5 million gallons a year of biodiesel made from waste vegetable oils obtained from restaurants and commercial food producers, and animal fats obtained from rendering operations. CALSTART, Inc., will receive $3,523,498 to extend and expand the California CLEAN Truck Demonstration Program. The additional funding will cover demonstration projects of battery-electric, plug-in hybrid electric and range-extended hybrid electric/natural gas heavy-duty drayage trucks operating at the ports of Long Beach and Los Angeles. Blue Line Transfer, Inc., will receive $2,590,929 to build an anaerobic digestion facility in South San Francisco. This facility is slated to convert 9,000 tons per year of food and plant waste into biomethane that will be used to produce compressed natural gas for a fleet of five refuse and recycling collection vehicles. Aerovironment, Inc., will receive $2,150,000 for the purchase and installation of electric vehicle charging equipment. The goal is to expand the statewide network of vehicle charging stations, to collect and analyze data to determine economic and environmental impacts, and to reduce emissions. Of this funding, $2 million will provide 770 residential Level 2 electric vehicle charging stations in both single family and multi-unit residences throughout California. Sacramento Municipal Utility District will receive $1,819,166 to facilitate the completion of a project to demonstrate a patented process developed at the Argonne National Laboratory to optimize the production of biomethane and reduce carbon dioxide from anaerobic digestion. University of California, Irvine, will receive $765,000 to enhance the Spatially and Temporally Resolved Energy and Environment Tool (STREET), including web-based user capabilities. Researchers at the university's Advanced Power and Energy Program have developed the STREET computer model as a highly detailed and dynamic tool for alternative fuels planning, including selection of optimal locations for the development of fueling infrastructure. Paso Robles Waste & Recycle, will receive $300,000 to build a compressed natural gas (CNG) refueling station to serve a new fleet of CNG refuse haulers, as well as providing public fueling. CNG is much less polluting than conventional diesel. More than 50,000 gallons of conventional diesel fuel will be displaced by CNG annually by the five refuse trucks that will be initially used in the project. City of Yucaipa will receive $75,000 to construct, operate and maintain eight Level 2 electric vehicle charging stations at three locations. Four of the charging stations will be installed at the city's new police department, currently under construction. Two will be installed at the city's community center, and two will be installed in the new Uptown Parking Lot. Six of the eight charging stations will be available to the public.